But with so many platforms to choose from, how do you go about finding the best forex brokers? What should you look for when choosing a FX brokerage service? 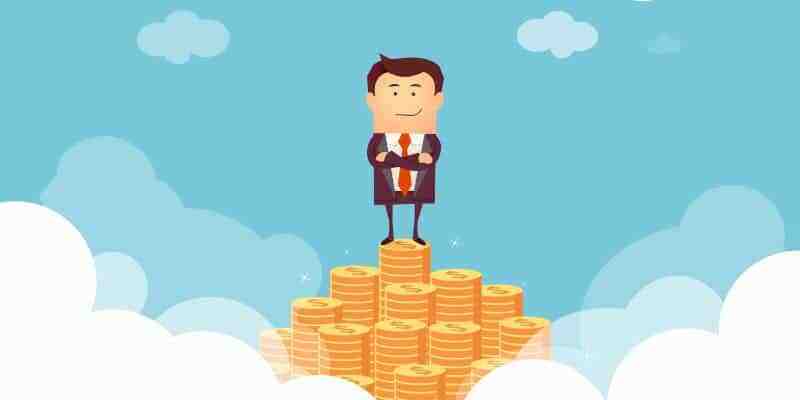 Read our guide to find out the best forex brokers for 2019. How does a forex broker work? What kind of forex brokers are there? In order to provide you with the most up-to-date, accurate and unbiased reviews, we have tried and tested each and every one of the brokers that makes our list. To give you an idea to what we look for when judging whether an online forex broker is worth choosing, we’ve listed the most important factors below. The main types of forex brokers are Dealing Desks (DD ) and No Dealing Desk (NDD). Forex brokers that operate through Dealing Desks (DD) make money through spreads and providing liquidity to their clients. They are also called “market makers”. On the other hand, NDD brokers simply link two parties together and do not execute their clients’ orderes through a Dealing Desk. 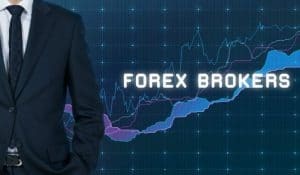 Now that we understand the division of forex brokers, it is also important to know that there are many different types of forex brokers out there. The different options available nowadays means that you are more likely to find a forex broker suited to your needs – whether it be high leverage, low spreads, or a large forex bonus. Below are the different types of forex brokers explained. Paypal Forex brokers are simply forex brokers that offer Paypal as a deposit method. Given the popularity of Paypal, many brokerage companies have had to accomodate their payment options to offer Paypal deposits and withdrawals to their clients. Companies offering Paypal deposits are often highly regulated brokers which you can trade safely with. One of the best Paypal forex brokers in the market today is eToro, which offers one of the lowest costs for Paypal withdrawals, and $0 deposit fee. High leverage forex brokers provide the chance to use borrowed capital as a funding source. With leverage trading, traders can open FX positions with a small balance, and employ risky tactics such as opening a large number of trades at the same time. 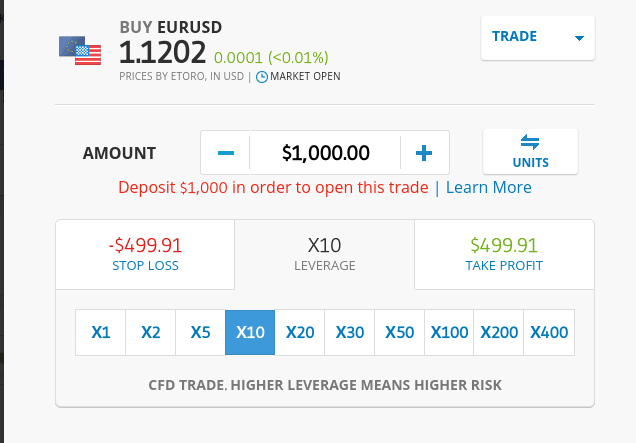 Leverage in FX trading can go as far as 1:1000, meaning that for every $100 in your trading account, you could be trading up to $100,000 in value. Some of the most popular forex brokers with high leverage include XM Global currently offering leverage up to 1:888 and FXGlory with 1:3000 max leverage. It is crucial to note that higher leverage in a forex trading account is perceived as riskier due to the possibility of losing all capital. 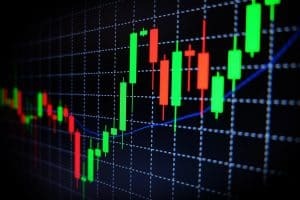 Therefore, we recommend that you take precautions when opening trades with leverage, especially for beginners who tend to be unfamiliar with forex money management techniques. STP forex brokers are platforms offering STP trading accounts (“Straight Through Processing”). STP brokers are similar to ECN brokers in that the broker’s trading commission is included into the spread, which makes it highly affordable. STP trading accounts also begin at a low minimum deposit of $10 and offer very small transaction sizes. The trades are executed in the real market (the interbank market), where the big banks play the role of liquidity providers. Trading with STP forex brokers is typically more cost-effective since STP brokers do not profit from the loss of traders (unlike Dealing Desk brokers) and they typically only charge on the spread. STP forex brokers also accommodate traders with different strategies (scalping, hedging, etc) , and offer the possibility of using high leverage. These USPs make STP brokers one of the best choices for forex trading. Some of the best STP forex brokers for 2019 are IC markets and Vantage FX. Low spread forex brokers charge small trading fees, which is particularly interesting for traders using scalping strategies who open various trades within one day and want to keep their commissions as low as possible. In order to cut their losses, those traders benefit from cheap forex brokers with tight spreads. Since the main goal of trading is to secure personal funds and limit losses, using a low spread fx broker makes up a large part of any profitable forex trading stategy. Different brokers offer different spreads, but some of the cheapest options in the market today include Pepperstone with spreads starting at zero, and IC Markets, with an average spread of 0.1 pips. According to Islamic law, Muslims are prohibited from trading for profit and their finance must be driven by ethics and justice. Islamic clients are also prohibited from executing risky trading strategies, and must not use brokers with high interest fees which according to Islamic law is exploitative and unlawful. Islamic forex brokers, also known as ‘no swap brokers” have therefore emerged in order to allow Muslim clients to trade forex in compliance with the Shariah law. These accounts do not charge rollover interest on positions held overnight but do charge a trading fee on open positions. Some of the best Islamic trading accounts are eToro and IC Markets. A good Forex broker bonus is a key characteristic for choosing a forex trading account. A forex bonus is a promotion offered to new or existing customers by a forex broker which can be accessed by signing up on a website or by depositing funds into your forex trading account. There are 2 different types of forex bonuses. The first type is a forex deposit bonus which is trigger when a client makes a deposit. These are usually measured in %. An example of this is a 50% forex deposit bonus, which means that if you deposit $1000 you will receive $500 on top and have $1500 to trade with. A forex no deposit bonus is a promotion which does not require the client to deposit funds. The only thing the client must do is sign up to the website, and their free forex bonus will be immediately available to trade with. This is a great option for beginners or those with limited funds as it allows you to trade the forex markets without risking your own funds, and to potentially make profits. Some of the best forex broker bonuses available are offered by Xtream Forex (100% initial deposit bonus), and RoboFX with a classic bonus of up to 115% on deposit. If you’re interested in trading forex and you’re based in the UK, you’ll be pleased to know there are a range of notable brokers operating in the space. No matter what stage of your forex trading journey you are at, eToro have one of the most comprehensive platforms in the industry. If you are still a beginner, eToro are strong advocates of both social and copy trading, which is great if you are looking for ideas as to what currencies to trade. Across their portfolio of 47 currency pairings, you’ll find heaps of liquidity and ultra-tight spreads. If you have chosen your preferred forex broker, we have listed some key guidelines to ensure that you have a full grasp of how to start trading. While every broker will have their own platform layout, we’ve also listed a detailed walk-through with leading forex broker eToro. Once you have registered an account and deposit funds, you’ll first need to head over to the forex section of the eToro platform. On the left-hand side of the screen, click on Trade Markets, followed by Currencies. You should now be on the main forex trading platform for eToro. 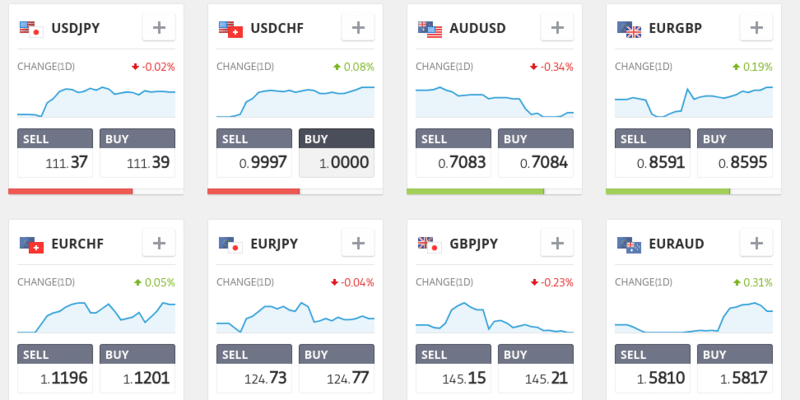 Here you’ll see all of the 47 forex pairings available to trade. Simply scroll down until you see the pairing that you want to trade. Once you do, click it. This section is of utmost importance, not least because a common mistake that beginner’s made is backing the wrong currency. To make things easier for you, let’s take the EUR/USD pairing as an example. As EUR is on the left-hand side of the pairing, this means that by ‘buying’ the asset, you believe EUR will increase in value, against the USD. On the other hand, if you think that the USD will increase in value in comparison to the EUR, then you need to ‘sell’ the asset. No matter which currencies constitute the pairing, in forex trading a ‘buy’ favors the left currency, and a ‘sell’ favors the right currency. Each currency pairing will move up and down in value on almost a microsecond by microsecond basis. In order to quantify these movements, we determine this by ‘points’. These are usually small decimalizations of the underlying currencies, and will vary in size depending on the specific pairing. When choosing your stakes, you need to determine how much you want to risk per point. However, in order to make things easier for you, forex brokers such as eToro also allow you to determine your total investment size. They then calculate this for you automatically. In this example here, we’re looking to stake a total amount of $1,000, which amounts to just over 875 units. Following on from the above section, you also need to determine whether or not you want to use leverage. If you do, your profit and loss will be multiplied by a certain factor. 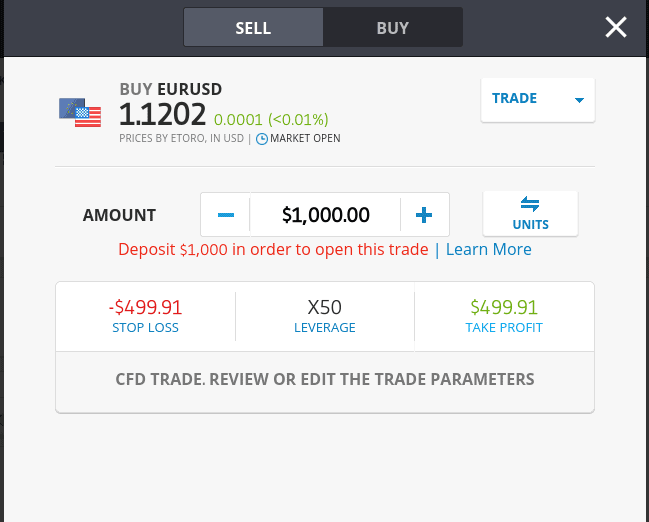 For example, let’s say that you want to buy $1,000 worth of EUR/USD, however you only want to deposit $100 to initiate the trade. To achieve this, you would need to opt for leverage at a ratio of 10x. Leverage is an ultra-high risk trading strategy, so make sure you understand how it works. When you do use leverage, you should also recognize that your trade will be automatically closes if your margin balance no longer covers the open position. This liquidation figure will vary depending on the broker and the asset being traded, however as a general rule of thumb, this will amount to the same percentage rate as the leverage you took. For example, if you place a $1,000 trade at 10x, you’ll only need a margin balance of $100. However, if your open position loses $100 in value, which is 10%, then your trade is likely to be closed if you don’t have sufficient funds to cover the margin. Moreover, you also need to understand how the underlying fees work, as you’ll be charged financing costs when taking out leverage. In some cases, currencies rise and fall based on external factors. For example, when it was confirmed that the UK had voted to depart from the European Union, GBP lost significant value in the open marketplace. This is known as fundamental analysis, as trading is based on real-world events. An alternative forex trading strategy is technical analysis. This is where traders analyse historical trading patterns with the aim of looking for trends. This is a highly skilled art, however there are a plethora of tools in the public domain that can help you master it. When it comes to eToro, the platform offers a fully-fledged trading academy. This includes a plethora of guides and videos, as well as regular training webinars. On top of this, eToro also have a frequently updated blog that publishes articles on current trading analysis. If you’re looking for a forex platform that makes is super easy to trade, alongside a full range of educational tools and fundamental analysis guides, then we would suggest exploring Markets.com. The platform has a number of regulatory licenses, including that of CySEC, the FSCA (South Africa) and ASIC in Australia. In terms of the number of currencies you can trade at the broker, Markets.com host more than 50 different pairs, across majors, minors and even exotics. Plus500 are heavyweights in the UK forex space, not least because they are publicly listed on the London Stock Exchange. In terms of the number of pairs available, Plus500 hosts more than 60 different forex pairs. Not only this, but their spreads are ultra-tight and trading fees are very competitive. Plus500 are also an excellent choice if you like to use a trading platform that is easy to navigate . The only caveat that we should note is that the platform is not strong on educational tools. Moreover, a lack of daily fundamental analysis is also a slight negative, however in our view this is information that can be obtained independently with ease. Check out our Plus500 review to find out everything you need to know about the exchange. Although U.S. citizens are somewhat restricted when it comes to trading CFDs, the forex marketplace is a different story. As such, there are a range of well-established forex platforms that allow U.S. citizens to trade currencies without any hindrances. Just remember, if you are based in the U.S., you’ll be required to submit additional information during the application process with respect to your tax obligations. Furthermore, all of the following forex brokers are registered with the Commodity Futures Trading Commission (CFTC), meaning they are fully authorized to accept U.S. citizens. 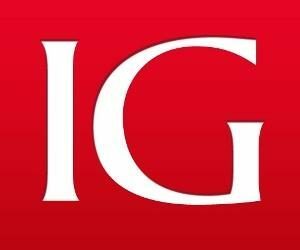 London based IG have been offering financial investment products since the early 1970s. Much like in the case of Plus500, IG are also publicly listed on the London Stock Exchange. This further supports their long-standing reputation as a highly credible broker. However, although much of their user-base are located in the UK, IG are also registered by the CFTC. As such, their forex product range is fully accessible by those located in the U.S. In fact, the IG product range is one of the largest in the forex space, with more than 91 different pairs available to trade at the click of a button. OANDA are an online forex and CFD broker that are authorized to accept a full range of nationalities, including that of the U.S. First launched in the mid-1990s, this makes OANDA one of the most established online forex platforms in the industry. The broker hosts more than 70 different trading pairs, with currencies covering the major, minor and exotic risk-categories. We also like the fact that the team at OANDA are very strong on their fundamental news developments, which is streamed directly from major sources such as CNBC and Reuters. Although their forex spreads are still competitive, arguably they are slightly higher than their key market rivals. When it comes to their forex trading department, TD Ameritrade only offer their services to U.S. citizens. Moreover, the broker’s parent company – TD Ameritrade Holding Corp, are publicly listed on the NASDAQ stock exchange. As such, the platform has a very strong following with those based in the U.S. The broker offers more than 75 different forex pairs, which covers all major and minor pairings, alongside the more volatile exotic segment. 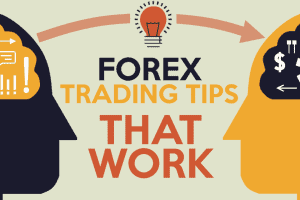 In terms of fees, this ultimately depends on the specific forex pair you are trading (built in to spread), and whether you opt for their commission-free or contract-based pricing structure. For those looking for a forex broker and located in either Australia or New Zealand, we would recommend taking a closer look at Plus500. Although the broker have a very strong presence in the UK space, they hold all of the required licenses to accept traders from both Australia and New Zealand. As a company listed on the stock exchange, Plus500 discloses all its financials and is considered one of the most reputable forex trading platforms in the industry. The minimum deposit for forex trading on Plus500 is $100 and the leverage offered on their forex trading accounts is a maximum of 1:30. Even though there is no guarantee of making profits when crypto trading, using trustworthy and legit platforms like the ones we listed is a great way to improve your chances of making profits. If you are starting out in forex, we would point you in the direction of eToro. Not only is their forex platform really easy to navigate through, but the broker is also pioneer for social and copy trading. With their copy trading feature, you will have the ability to follow top-rated forex brokers on the network and copy their trades or even their entire portfolio if you wish to do so. By mirroring the trades of more experienced investors, you will have a much better chance of making profits than if you were to rely on trial and error learning. Their platform is also highly interactive and you can discuss forex trading tips and strategies with other members in the community to get the most out of your experience. If you are looking for a highly advanced platform and you are a more experienced trader, then FP Markets is probably your best bet. Launched in 2005 and based in Australia, the broker offers huge leverage levels of up to 500:1. On top of this, and perhaps most importantly, FP Markets are an ECN broker, meaning that among other benefits, you'll have access to ultra-low spreads. Trading fees are an important factor to consider when searching for a new forex broker. This is especially true if you trade smaller amounts, as low-level traders are often penalized for small trade sizes. As such, Plus500 are potentially one of the most competitively priced forex brokers operating in the market. Their commission-free pricing system is further amplified by tight forex spreads, especially in the major pairings. 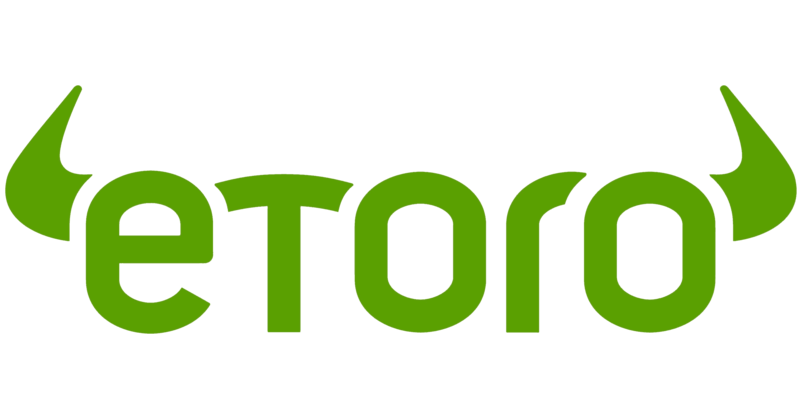 Although there are a plethora of forex brokers that have been established for longer, eToro have one of the strongest reputations in the online forex space. One of the key reasons for this is that their platform is suited for all investor-types. Moreover, they guide beginners through the forex process via their highly comprehensive trading academy. Forex, or simply FX, refers to the trading of foreign currencies. As domestic currency valuations fluctuate on a second-by-second basis, this makes it a highly active investment segment. The forex trading industry is now so fundamental that more than $5 trillion is traded on a daily basis. When trading two currencies against one another, this is known as a ‘pairing’. For example, GBP/USD would be one pairing, while USD/JPY would be another. 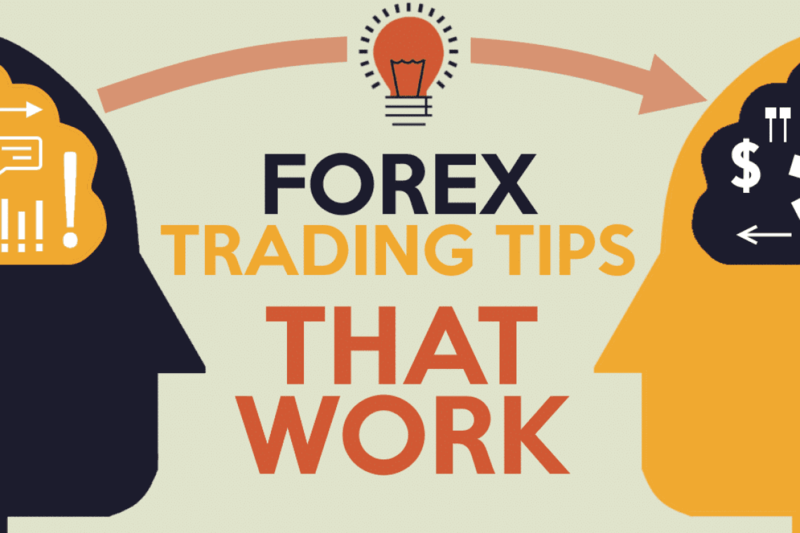 Generally speaking, forex pairings can be broken down into three key categories. Forex trading is a 'high risk' activity that does not guarantee returns. There is a chance that you will make money but you may also lose what you invest. The best way to avoid that is to choose a reputable broker and educate yourself. Firstly, and as the name suggests, major pairings must include the world’s most dominant currency - the USD. As such, each pairing must contain the USD on one side. These pairings must also include an additional major currency, such as GBP, EUR or JPY. Here's a full list of the major pairings. Minor pairings refers to currencies that are still ultra-strong, however they do not need to include the USD. 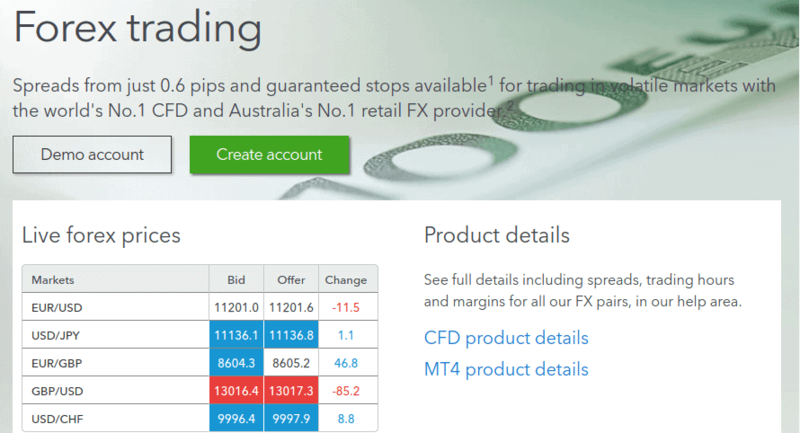 Example pairings includes the likes of EUR/GBP, GBP/JPY and AUD/JPY. Here's a list of some of the most widely traded minor pairings. Finally, exotic pairings will include one major currency alongside a currency from a less dominant economy. These trading pairs often struggle to attract as much liquidity as major and minor pairings and thus, operate in a more volatile nature. Here are some examples of some widely traded exotic pairs. Essentially, the role of an online forex broker like ATFX is to facilitate currency trading for investors. The platform will be responsible for matching buyers and sellers, subsequently allowing investors to trade in the open marketplace. On top of providing the required tools for online investors, forex brokers will facilitate deposits and withdrawals, and in most cases, will provide an array of educational tools, as well as fundamental and technical analysis. Due to the sheer size of the forex broker marketplace, each platform will have its own advantages and disadvantages. However, one of the most important factors that you need to consider is whether or not the broker holds the required regulatory licenses, and that they have acquired an established reputation. What kind of Forex trading platforms are there? The underlying trading platform used by the vast majority of online forex brokers is that of MetaTrading 4, or simply MT4. First launched in 2005, MT4 is an electronic trading platform that facilitates ultra-fast forex trades in a safe and secure eco-system. Prior to MT4, forex brokers were forced to design and host their own trading technologies. However, due to the sheer popularity of MT4, alongside the ease at which online brokers can install it in to their platforms, the protocol is now commonly used by most forex brokers. 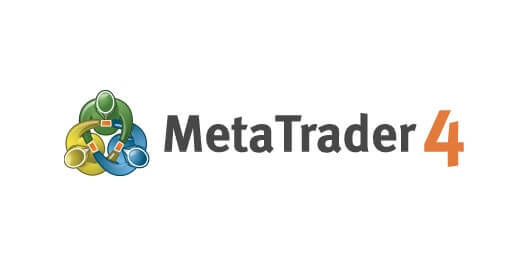 Alternatively, some brokers now use the more recent MetaTrader platform, which is that of MT5. MT5 has the capacity to facilitate trades across stocks, futures and of course CFDs that represent forex pairs. Competing with both MT4 and MT5 is that of cTrader. 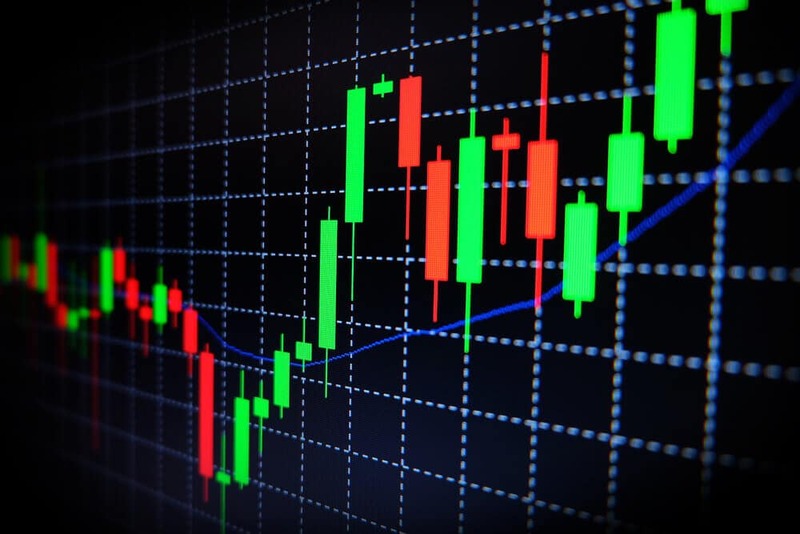 The platform also offers highly advanced capabilities in the trading of forex, subsequently providing up to 70 charting indicators across 54 time-frames. What type of Forex trading accounts are there? Although forex trading is accessible by investors of all shapes and sizes, most brokers will allocate a specific trading account based on your individual circumstances. In most cases, this will either be in the form of a retail/individual account, or for more experienced traders, an institutional account. Regarding the former, this will be an account best suited for casual traders, or for those with very little experience. By having a retail/individual client account, you’ll ability to obtain leverage is likely to be limited. If leverage is offered, this will be for ratios significantly lower in comparison to institutional accounts. Depending on where your are based, retail/individual traders are sometimes accustomed to regulatory compensation schemes and financial protections, should the broker in question not have your best interests at heart. When it comes to an institutional account, you’ll need to go through a much more stringent client onboarding process, and be able to prove that you have the required knowledge and experience to trade significant volumes. Once you are set up, you’ll likely be offered substantial levels of liquidity, with brokers facilitating ratios of up to 500:1. 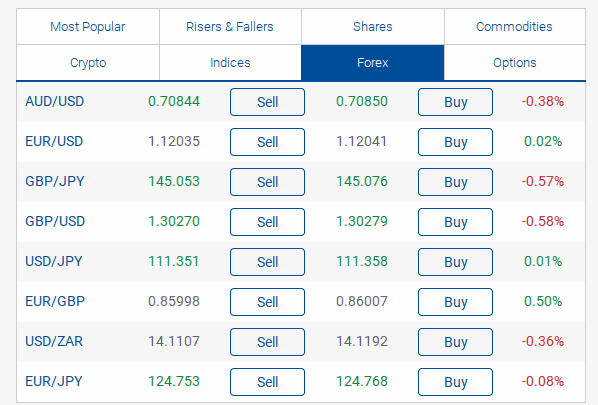 Due to the sheer size of the forex brokerage industry, it can be a difficult task trying to find the best platform for your individual needs. Here’s 10 tips to consider to help you along your way. Perhaps the most important factor that you need to consider when looking for a forex broker is their regulatory status. Not only do you need to ensure that they hold the required regulatory licenses, but also that they are authorized to offer their forex services to your country of residence. On the other hand, depositing funds with a broker that does not hold any regulatory licenses should be avoided at all costs. You have to ask yourself why they are operating in a financial arena without the correct legal status. In most cases, regardless of how your trades perform, such a relationship won’t end well. If you want to utilize leverage within your trading strategies, then take some time to understand what the broker offers. Although they might state that leverage is freely available, this might be on the proviso that you are an institutional investor. Leverage levels can also be capped based on where you are located. If leverage is something that you want to use, you’ll also need to check what the overnight financing costs amount to. As you are essentially borrowing the money from the broker to trade more than you have in your account, this of course comes at a cost. Understanding the fee structure of a forex broker is of utmost importance. While some brokers are very upfront as to what they charge, others are more opaque. Take the time to explore what the broker charges in terms of trading fees, commission and overnight costings. Furthermore, some brokers claim to offer zero-commission fees. However, what they often do instead is to include their commissions within the spread. As such, although commission fees are zero per-say, you might be paying for this indirectly in the form of an unfavorable spread. If you are an absolute beginner in the forex trading space, then it might be worth considering a broker that offers copy and/or social trading features. Not only will this expand your knowledge of forex trading, but it will also allow you to copy the trades of top-performing traders. One thing that you need to look out for is how the results of traders are evaluated. For example, let’s say that the broker displays a trader that made 50% gains in the previous month. This might look good, however if they lost 40% in each of the three months prior, then it is misleading. All copy and social forex brokers should be transparent with how they gauge their trading statistics. Before you register an account, check what payment methods the broker supports. You don’t want to go through the client onboarding process, only to find that you desired payment method isn’t accepted. In the vast majority of cases, brokers will accept either a debit/credit card (such as Visa or MasterCard) and a traditional bank wire. Others will also delve into more modern payment methods such as PayPal. Don’t forget, each payment method might have different transaction fees attached to it, so also check this too. Although the broker might hold the required regulatory licenses, you should still perform some due diligence on their overall reputation. If the general consensus from the online community is that the broker is reliable and credible, then this should act as notable sign of approval. To further support your due diligence checks, find out when the forex broker was established, and whether they are owned by a separate parent company. If you are a novice forex trader, then it is worth choosing a broker that offers a full range of educational tools. This might include webinars, videos and guides that contain all of the required information to begin your forex trading journey. On top of this, you should also check whether or not the broker publishes frequent fundamental and technical analysis developments. Experienced traders rely on these information sources when they attempt to determine which way a particular currency will go in the open marketplace. The spread between the buy and sell price can have a significant impact on your ability to make profit, especially if you are looking to scalp micro-gains. Spreads will usually differ depending on the underlying pairing, so check what’s on offer prior to opening an account. In an ideal world, you want to choose a broker that offer super low pips, especially in the major pairings. You should expect higher spreads with minor and exotic pairings, however make sure these are not too unreasonable. Furthermore, just because a broker offers low spreads, this doesn’t mean that their overall fees are good value. They might instead charge high commission fees to profit off of your trades. Always explore what security safeguards the broker has installed to keep your funds secure. From the perspective of the trader, this should cover two-factor authentication (2FA) and key-account notifications at an absolute minimum. On top of this, it is also a minimum requirement that your chosen forex broker has installed SSL (Secure Sockets Layer) safeguards into their platform. In layman terms, this ensures that all of the personal information that you enter in to the broker's website remains private, by encrypting the data. Finally, you should also ascertain how many forex pairings the broker lists. Although the vast majority of the forex industry is dominated by major pairings such as the GBP/USD or USD/JPY, some traders like to explore other markets. As such, not only should major pairings be readily available to trade, but also minor and exotic currencies too. 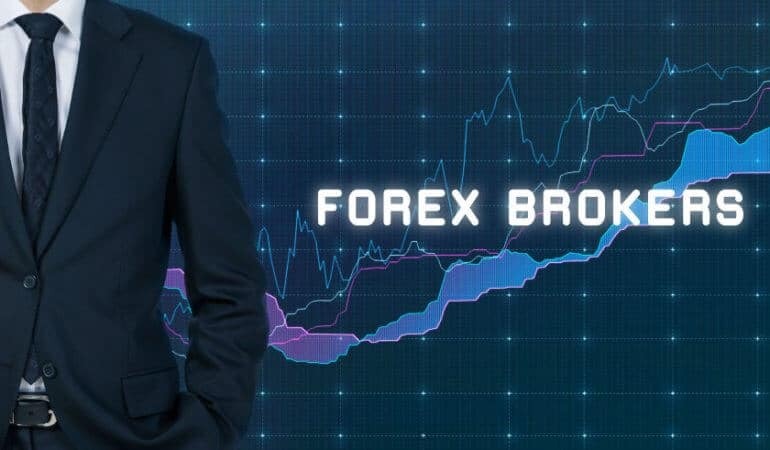 Here is a list of recommended forex brokers for 2019. We have tested these brands and can confirm that they offer a great platform for trading all currency pairs, have reasonable spreads and are regulated by financial authorities. We have not tested these brokers yet and therefore cannot recommend them. We will be reviewing all of these sites in detail in the coming weeks so be sure to bookmark this page. When we go through the process of reviewing forex brokers, we look at a full range of factors. The reason for this is that we understand each forex trader will have their own individual needs. For example, while some forex traders are more interested in low fees, others look for platforms that have the best reputation. In doing so, we give you the opportunity to make an informed decision. In conclusion, the online forex space is facilitated by a huge number of brokers. While listing them all would be beyond the remit of this guide, we have discussed the most notable. As you have probably now ascertained, you need to consider a full range of factors before joining a new broker. Take some time to understand what is most important for your needs. In an ideal world, you want to choose a forex broker such as eToro that is heavily regulated, has a full range of currency pairings, offers low fees and spreads, and if possible, has an excellent range of educational tools. What is the difference between online forex brokers and real-life forex brokers? In its most basic form, the vast bulk of ‘real-life’ forex trading is performed by financial institutions of phenomenal size. Known as inter-bank trading, these institutions trade currencies on a direct basis. For lower level trading, such as that found via online forex brokers, the broker will purchase currencies on behalf of its clients. As such, this is why you must pay brokerage fees. The vast majority of the forex brokers we have recommended within our comprehensive guide also allow you to buy stocks. This will either be in the traditional sense (where you actually own the equity), or via a CFD (Contract-for-Difference). You can. Purchasing stocks online is super easy, and much more efficient in comparison to the days where you would need to make a purchase via the telephone. Each stockbroker will have their own fee structure and thus, you should also check this before making a purchase. In most cases, this will be in the form of commission, and is usually charged when you both buy and sell the asset. In order to trade stocks without a broker, you would need to be recognized as an institutional investor. This would require a significant amount of financial clout, not least because you would be dealing directly with the stock exchange that lists the stock. This is why the services of a broker are crucial for every day investors. What currencies can I trade with a forex broker? Forex brokers usually offer a full range of tradable pairings, which is usually determined by majors, minors and exotics. Majors are strong currency pairings that always contain the USD on one side. Minors are also strong currency pairings, but they don’t need to contain the USD. Exotic currencies contain emerging currencies from weaker economies. How do I know whether to buy or sell a forex pairing? If you believe the currency listed on the left-hand side of pairing will rise in value, then you’ll want to ‘buy’ the pairing. Alternatively, if you think the currency of the right-hand side of the pairing will rise in value, then you’ll need to ‘sell’ it. What is a position size in forex trading? The position size is the amount of money you want to risk per ‘point’. For example, if you risk $10 per point, and the pairing rises in your favor by 20 points, then you would make a profit of $200. Forex stands for ‘Foreign Exchange’. It is also commonly referred to as ‘FX’. This is entirely dependant on how you set up your trade. Keeping position sizes low and free from liquidity will reduce your exposure, as will installing sensible stop-losses. On the other hand, utilizing high levels of liquidity and failing to install stop-losses is an ultra-high risk strategy. What leverage levels can I trade forex at? The amount of leverage available is dependant on the broker that you use, and the type of investor status you hold. Institutional investors will be afforded much higher liquidity levels than retail/individual investors. What is the minimum amount I can invest in to a forex pairing? Each broker will have their own minimum deposit amounts, as well as the minimum position size you can implement per trade. Some brokers allow you trade really small amounts, which is perfect for newbies. Always check this before you register an account. 9 What is Forex trading? 10 How does a Forex broker work? 11 What kind of Forex trading platforms are there? 12 What type of Forex trading accounts are there? I’ve tried these forex brokers, and the one I’ve had personal experience with before was eToro. I think it’s very easy and intuitive to use, but their withdraw fee is $25 USD. I guess that’s the average fee on other platforms as well. Thanks for the article, I will try other ones you’ve recommended! 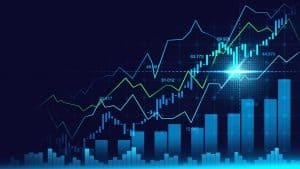 How do I know if a forex broker is reliable? There are a few ways to figure out whether a forex broker is reliable. The first thing to look at is its regulatory status. Check if they regulated but most importantly make sure they are authorised to offer services in your country. Other things to look out for are leverage, fees, spreads and payment methods. When the maximum leverage is high, you can get exposed to greater risks of fund loss. That is why several regulatory agencies impose a maximum leverage of around 1:30 for inexperienced users. As for the fees, we suggest looking out for the hidden ones. A lot of platforms charge for inactivity, maintenance, commissions and so on. We recommend doing some accurate research of the fees charged on the platform you are interested in trading on. Spreads are also very important. We recommend paying close attention to the spreads offered by the platform you want to invest on because even though they might seem like small fees, they can have significant impacts on your profits. We advise looking for the lowest spreads possible. As for the payment methods, the variety on offer is usually a good indicator of how much the broker is trying to meet the needs of customers. Usually, when only one payment method is offered, it is not a good sign. Also bear in mind that each payment method is most likely going to have a different transaction fee so we recommend looking into that too before you invest in a broker. How do I choose the best forex broker to trade with? How much do forex brokers charge exactly? There are so many different fees charged by different brokers that it can be quite overwhelming to know what I am getting myself into. Please could you shed some clarity on this? Thanks! Is Oanda a good forex broker? I’ve heard mixed reviews and was wondering if you’d recommend it. Thanks!